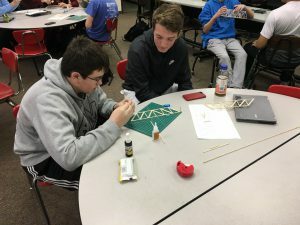 Students in ADMs Principles of Engineering course have been learning about bridge design. They were challenged to research different bridge designs and what makes those bridges strong and stable. 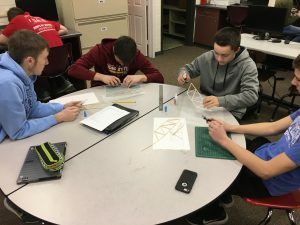 They came up with their own designs based on their research and tested the strength of them in a controlled testing space. Students were amazed at some of the amounts of force their bridges could hold for only weighing .2-.3 ounces!